The Shaw family has over 35 years of wine industry experience as a vigneron and vintner. 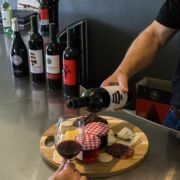 Their dream for family involvement inspired Richard and Marie to expand from 5 acres to over 1,200 acres to become one of the largest owners of vineyards in the premium cool climate regions of McLaren Vale and Currency Creek in South Australia. The Shaw family vision included producing high quality wine for the enjoyment of global wine connoisseurs. In the year 2000 the construction of their ultra modern, state-of-the-art winery was completed. The wine is produced from grapes picked from the family vineyards and is produced at the Winery located in Currency Creek. Shaw Family Vintners have a distinguished range of labels comprised of Shaw Family Vintners, Stonemason, Steeple Jack and premium brands, Single Vineyard, Emetior and RMS. 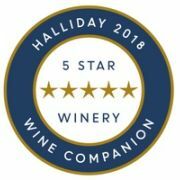 The James Halliday Australian Wine Companion is acknowledged as Australia’s definitive guide to Australian wine, with awards and ratings released every July. Travellers love Shaw Family Vintners and have rated us excellent on Trip Advisor. Drop by and visit us to see why! 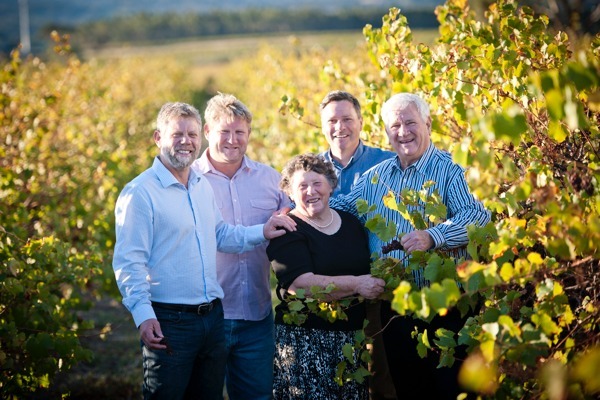 Visit our Shaw Family Vintners Facebook page to catch up with the latest wine news.